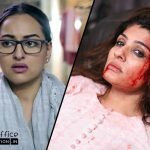 This Friday released two new Hindi offerings, Sonakshi Sinha’s Noor and Raveena Tandon’s Maatr both remained dull throughout the opening weekend and got failed to attract enough audience toward theaters. While the last week released Hollywood movie, Fast And Furious 8 showed far better performance than these two at Indian box office. Sunhil Sippy’s directorial drama movie Noor received mixed reviews from critics as well as audience. Earlier it was expected to take atleast decent start but it opened up with only 10% of occupancy across the country from morning shows and did the business of 1.54 crore from around 1450 screens. On Saturday due to weekend, it showed little growth and minted the amount of 1.89 crore. Then on the last day of weekend i.e. 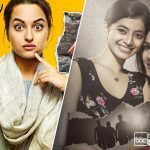 Sunday, Noor reported slight more rise and garnered the business of 2.09 crores. With this, it’s opening weekend total collection has become 5.52 crores at domestic box office, which is almost half than flop Begum Jaan (11.48 crores). 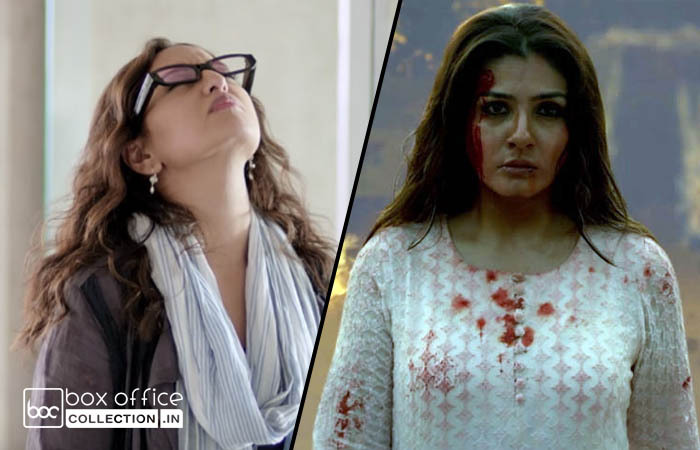 On the other hand, Ashtar Sayed’s directorial and Raveena’s comeback movie Maatr which is based on serious issues like rapes and violence against women, has also received mixed reviews from critics and witnessed very less audience in theaters. On the opening day, it reported 5-10% of occupancy and minted only 0.42 crore from 350 screens across India. On Saturday with similar note, Maatr managed to collect the amount 0.46 crore. Then on Sunday being public holiday, the movie showed fair growth and added the amount of 0.80 crore it’s account. With this, it’s opening weekend total collection has become 1.68 crore domestically.